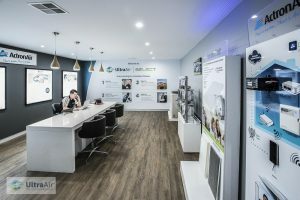 We would like to welcome and invite our Project Builder clients to Ultra Select showroom located at our Eastern Creek Premises. 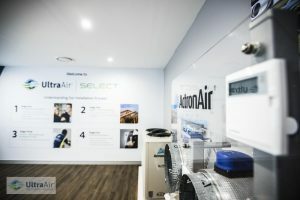 This State of the art facility allows Ultra Air to showcase all our initiative products that are available from Actron Air. Our Professionally trained consultants are able to conduct a face to face discussion and allow you to interact with all the optional features available. All outlet and unit location/s are discussed whilst reviewing your plans to ensure that all aspects of the installation and design process are clearly articulated. You will have the opportunity to address any issues or concerns you may have and we will try at all times to work with you in providing ‘the comfort solution’. We work in conjunction with your builder to offer any additional upgrades you may need or would like advice on. We look forward to meeting you and helping you design your new dream home.